"No one gets something for nothing. We all should know better." Teenagers at Wisconsin's Nottawa High School are drawn deeper into a social networking site that promises to grant their every need...regardless of the consequences. Soon the site turns sinister, with simple pranks escalating to malicious crimes. The body count rises. In this chilling YA thriller, the author of the best-selling Testing trilogy examines not only the dark side of social media but the dark side of human nature. WOW so great and recommend!! This book was so great and suspenseful. I love how the book ended and the way it was read! Do you NEED to read this? No, but go on. A decent YA thriller in the same category as Jeanne Ryan’s “Nerve”, but not in the same class. 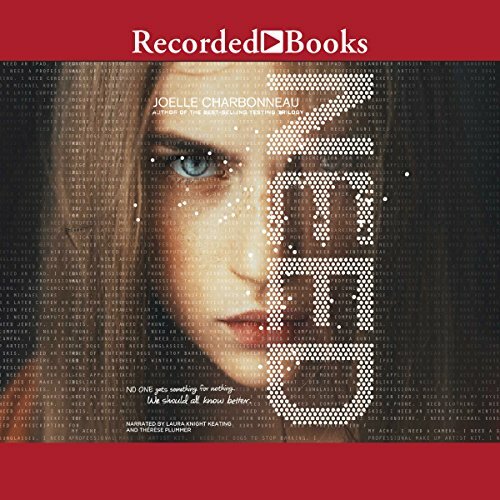 Most of the characters in “Need” are half-baked and unlikable. I can’t even say I liked Kaylee very much, but she was by far the most relatable. I was surprised when the major villain was revealed, and I almost always figure these things out well in advance, so points for that... but even then, I found the climax and resolution underwhelming. I’d recommend this story to someone preparing for a long drive or a series of long walks—it will keep your attention and won’t bore you—just don’t expect too much. very good. Great book to read. You should read it. The next book you should read! The voice of Kaylee needed more fluctuation when it came to voicing the males in her story. My students did not like the Kaylee narration, especially when it came to D.J. What was one of the most memorable moments of NEED? The mother's secret was pretty memorable. I don't want to give it away because I don't want to spoil the book! However, it was a huge turning point in the story line. What didn’t you like about Laura Knight Keating and Therese Plummer ’s performance? I did not like Kaylee's voice (I am unsure who voiced which characters.). I pictured Kaylee with a far more dramatic flair. Especially considering all of the things she did prior to her NEED request to get her brother the help he needed. I think the narrator for Kaylee should have played up Kaylee's personality far more than she did. I also think it would have been awesome to get a male to narrate the parts of the guys in the book. This book is already intricately layered, adding a male narrator would have added the final piece to make the audio awesome. If you could play editor, what scene or scenes would you have cut from NEED? I wouldn't have cut any. I would have developed some characters a bit more though, such as Ethan and Sydney. An excellent fast-paced novel that is different from other novels I've listened to. I highly recommend it. While I really got into the story, every once in a while I found myself getting annoyed by the pedantic tone of the book. Social media are dangerous and teenagers do not know what they really need, the message seems to be. Leaving out that message would have made for a much better read (and may have gotten readers thinking instead of just rolling their eyes at the abundance of references to 'the dangerous world wide web'). However, I liked the set-up of the book and still found Need a good read. Isn't this the fear we all have today? Look how easy the California killer found it to convince his weak minded friend.